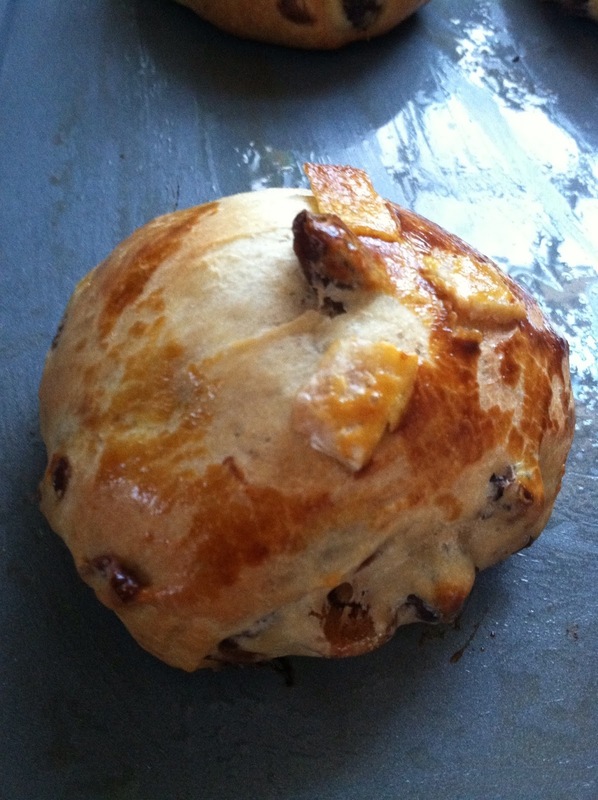 Rosca de Reyes Part II: Three Kings’ Buns! I love making bread for the kids I teach at Sunday school because they love it and it gives me a chance to bring a little more of the daily life and traditions surrounding the Biblical lesson into the classroom. The older I get, the more interested I am in the customs and habits of the people in the Bible. They seem more real to me when I think about foods they might have eaten. For example, I made challah, as well as unleavened challah, to teach the kids about the Israelites’ escape from Egypt. Ok, so it wasn’t technically matzo, but the kids really understood the lesson more deeply by seeing what unrisen bread looked like and could feel and taste it. I also like exploring the way different people around the world celebrate the same holiday in different ways. This Sunday is Epiphany, or Three Kings’ Day, which depending on your brand of Christianity either celebrates the day Jesus was baptized or the day the three Wise Men came to visit the baby Jesus. 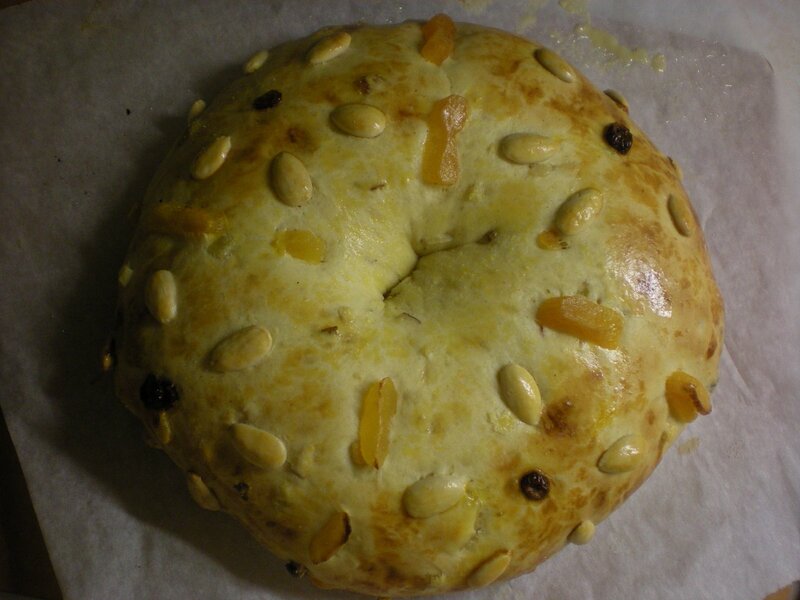 Regardless of faith, people often celebrate by eating a Kings’ Cake or Bread with fruit and nuts. Any holiday that involves food is a holiday I can support. Traditional King Cakes have a fun surprise- little trinkets or beans are hidden in the dough before it is baked, and are said to bring good luck to those who find the trinket in their piece. 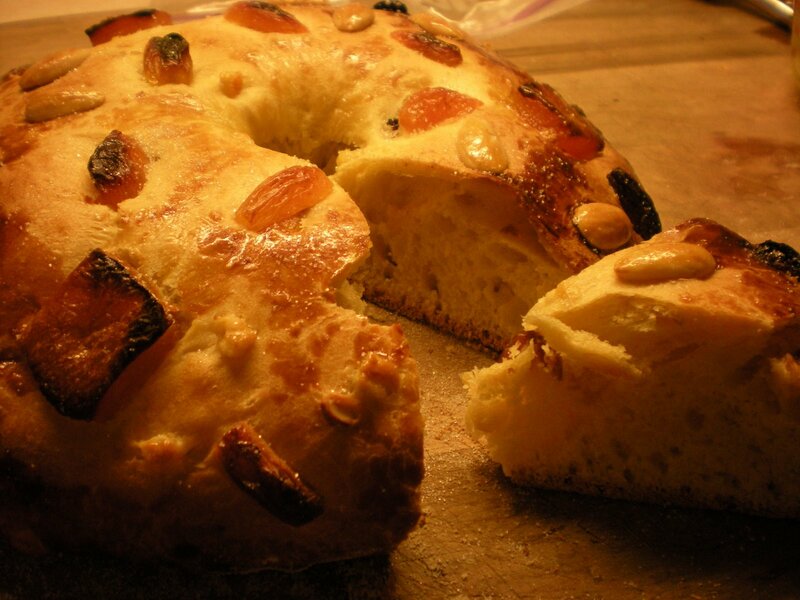 One of my first posts on this blog was a Rosca de Reyes, a typical Mexican Epiphany bread. 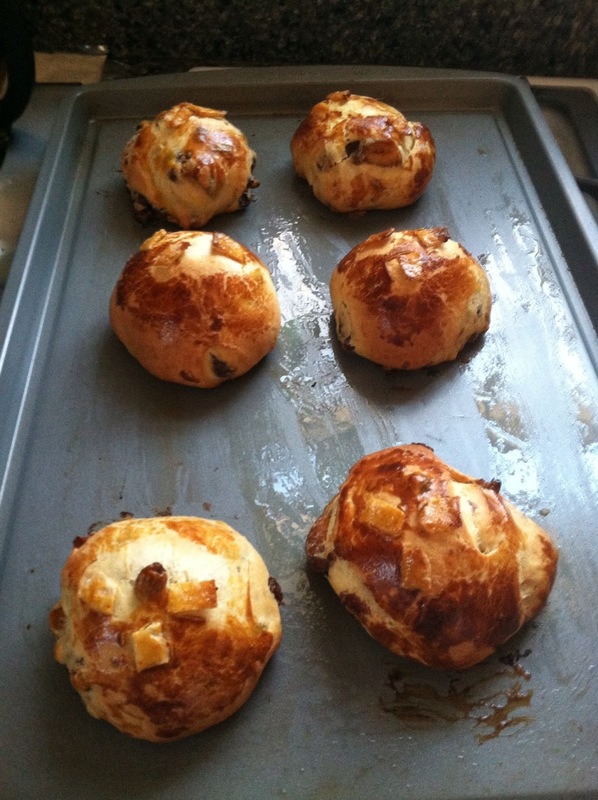 While the recipe I ultimately used was a Chilean Christmas bread, I really enjoyed seeing the parallels. Since I was making this bread for my Sunday School class of 5-10 year olds, I decided to make Rosca de Reyes buns so each kid would get the same size piece. 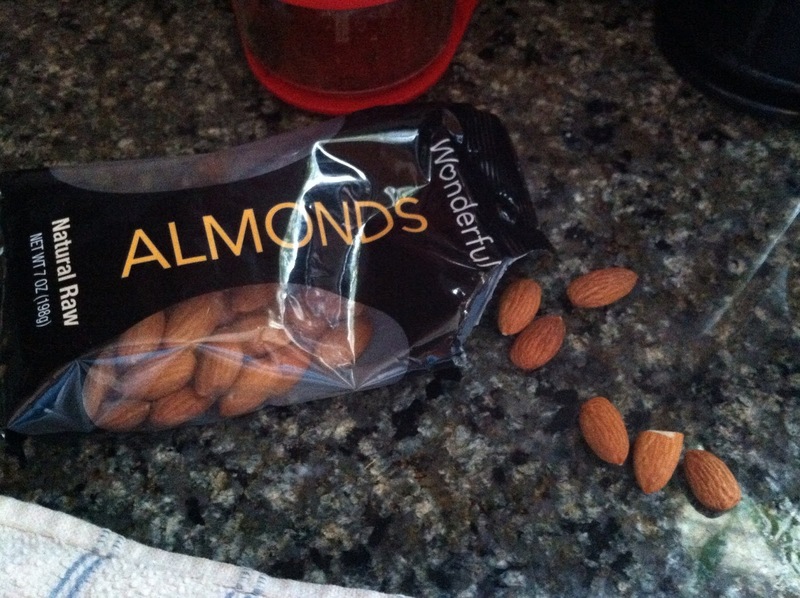 I slid a whole almond into each one. 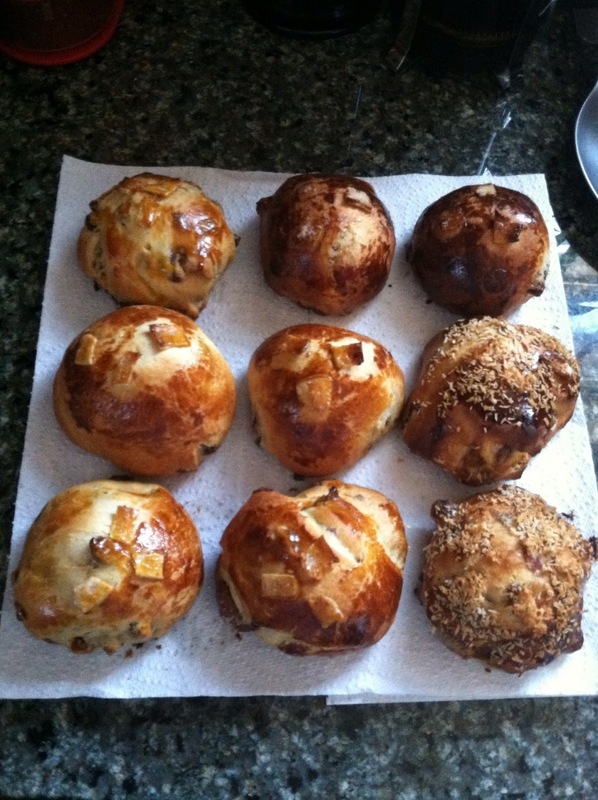 Shhhh… I’m going to tell them I only put an almond in one of the buns. That way they will be surprised when they all find one! 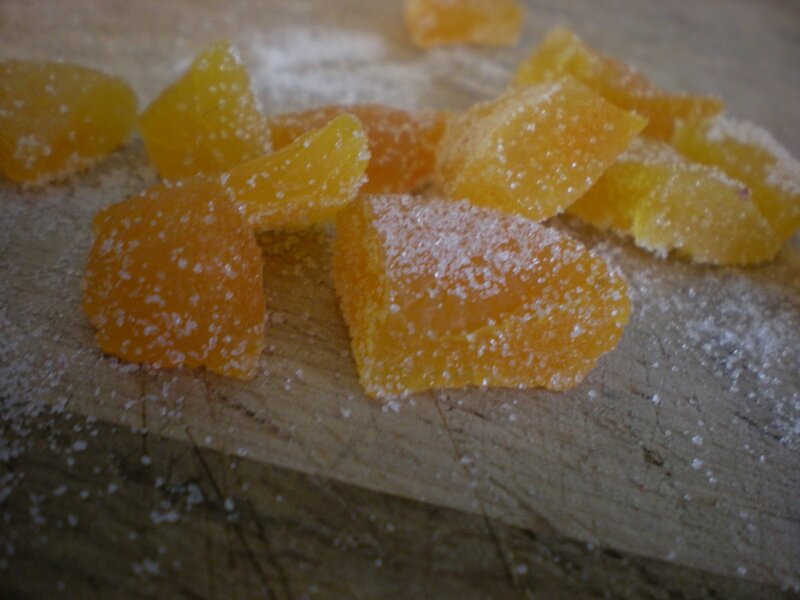 For the full recipe, here is my post from a few years ago. Check out the sweet paint color in my Austin kitchen. I miss that place. It only took an hour for my cold butter to hit room temperature. In January. Once you get to step 8 (let the dough rise 1 hour), head back over here to find out how to make the Rosca buns! 1. When your bread has doubled in volume, punch it down and weigh it using a kitchen scale. I wanted buns about 80 grams in weight, and based on my calculations I would get 17 buns. That seemed like a good number. 2. Cut each piece to the desired weight. This dough is extremely sticky so you will need wet hands which you will want to wash frequently since the dough will want to stick to them and make a mess. Transfer each ball to a greased baking sheet. Preheat the oven to 375 degrees F.
3. Let the buns rest for about ten minutes before reshaping. 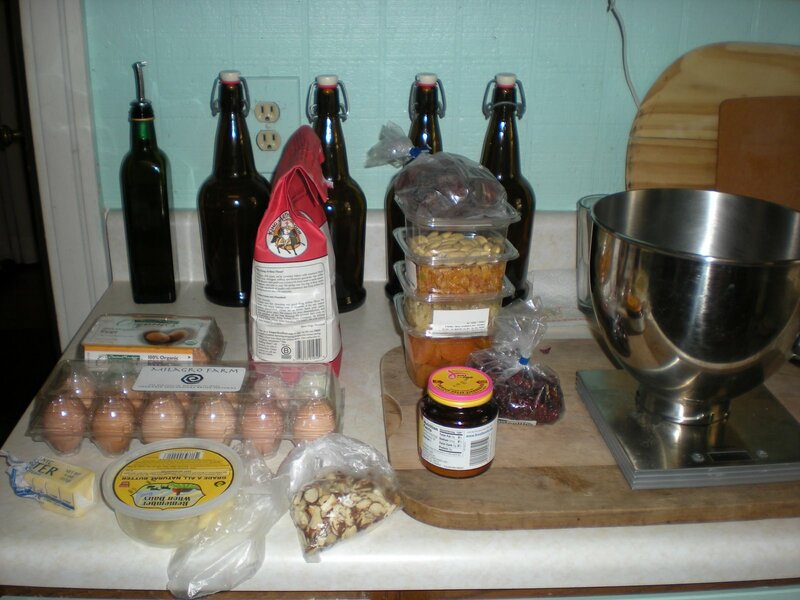 Count out your almonds and lay them next to your baking sheets. Your hands will be sticky and you won’t want to reach into the bag with sticky hands. 4. With wet hands, gently tuck an almond under one or all your buns, pulling the dough from the sides of the bun down and around the almond so the top of the bun becomes smooth. 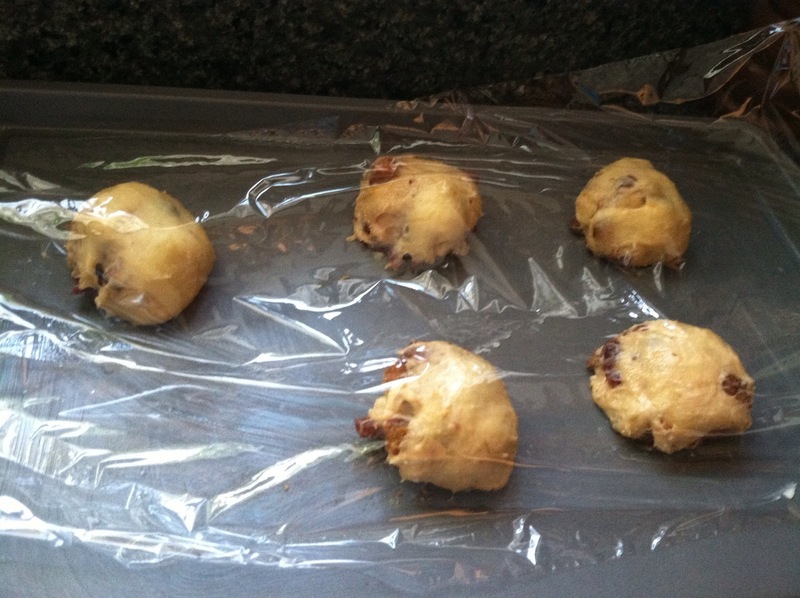 Return to the baking sheet and cover with plastic wrap. 5. 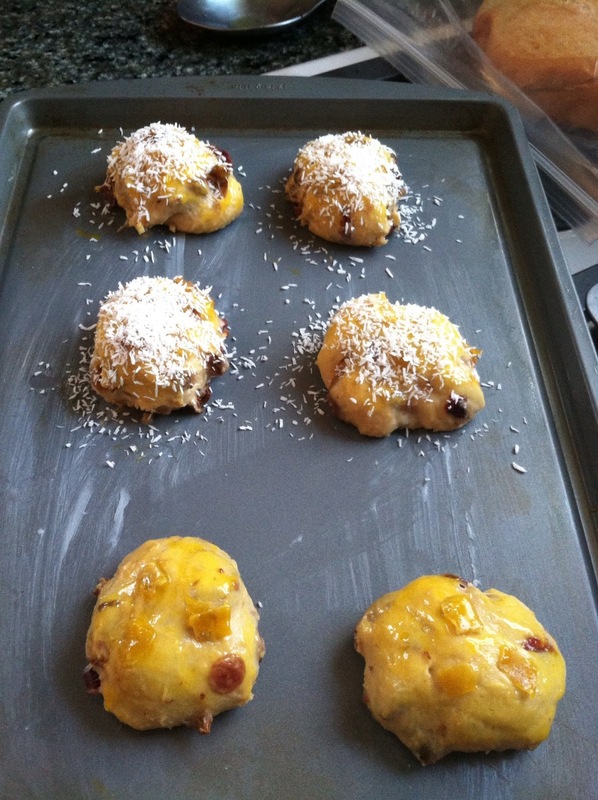 Once the buns have risen for about half an hour, you can decorate them. 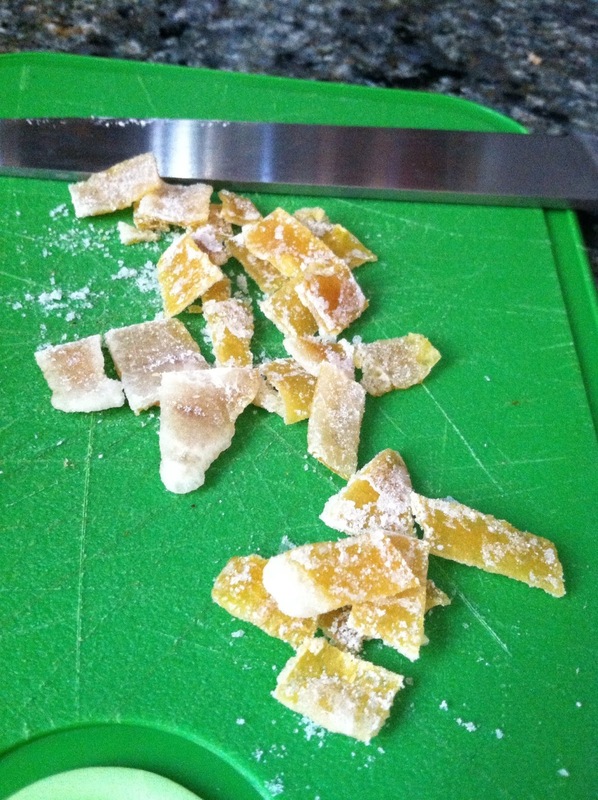 I used a yolk wash, candied lemon peel, and dried coconut flakes. 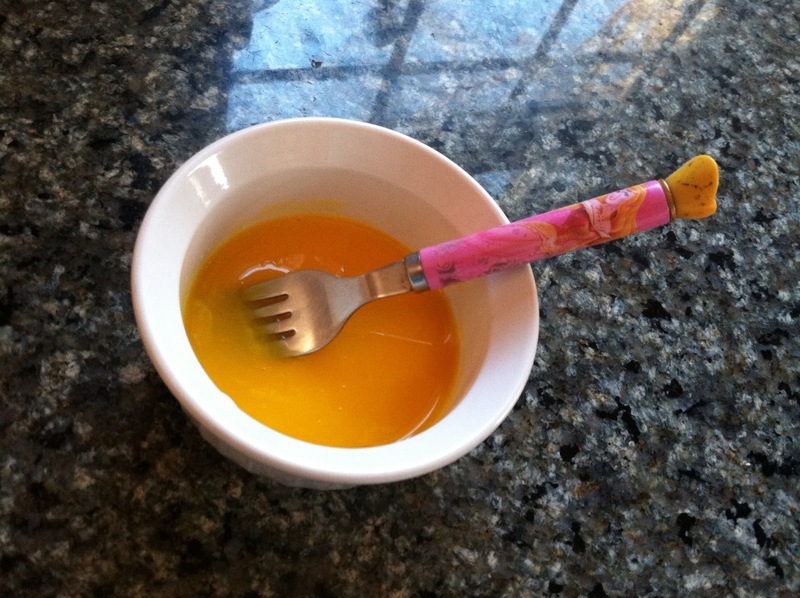 Just take two egg yolks and mix them together to make the yolk wash. Couldn’t be easier. 6. 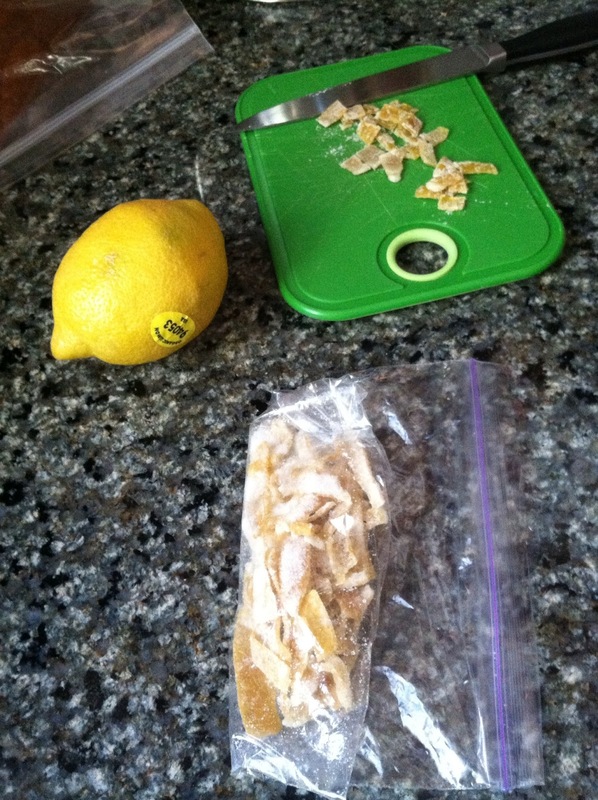 Press the candied lemon peel into the buns, then cover with the yolk wash. 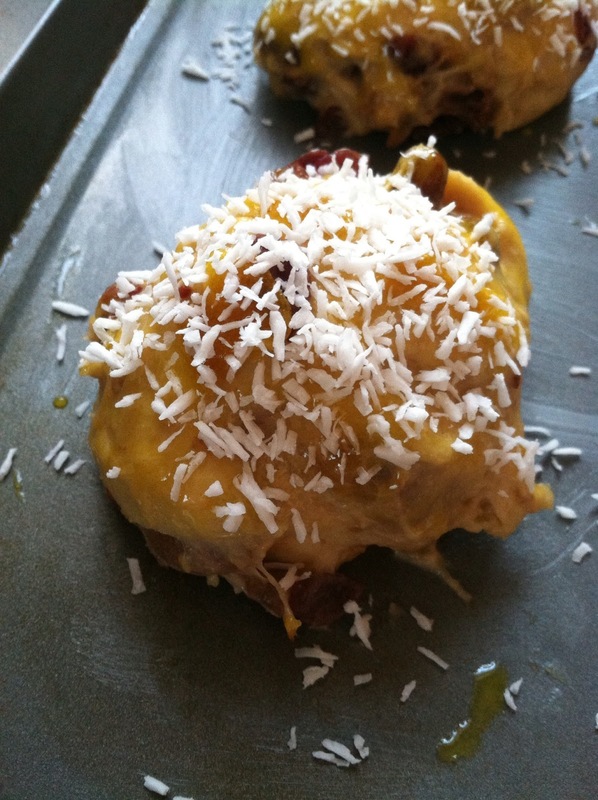 I also added the coconut flakes to some of them. I thought that would add a festive touch. Since I’m guessing most of the kids in my class do not like coconut, I left most of them plain. If I make them again for a party, I will probably put coconut on all of them. 7. 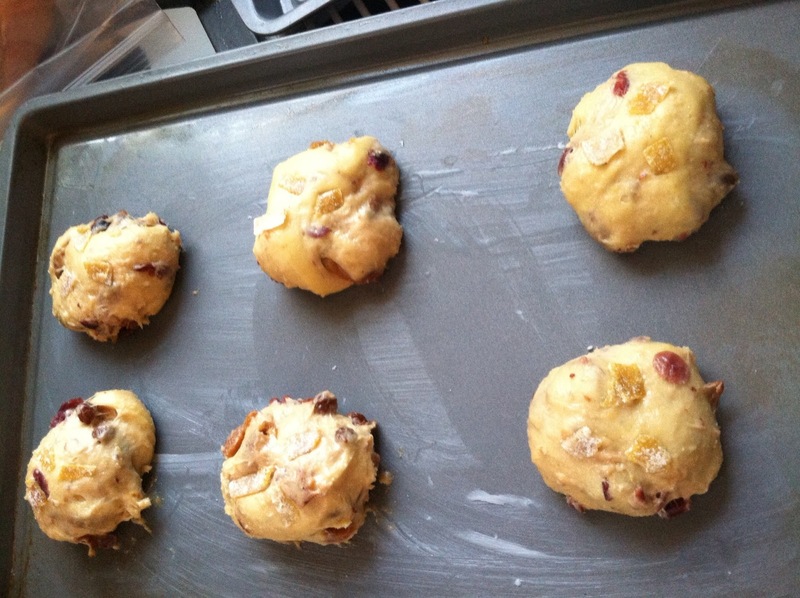 When the oven is ready, bake them for about 20 minutes, rotating them at 10 minutes. 8. I was a little confused because this bread was soft when it came out of the oven and didn’t “thump” like my breads usually do. But they are done, don’t worry! This picture is funny because it looks like I lined them up from lightest to darkest. The two buns in the bottom right corner are the ones with coconut. The verdict? These are GOOOD. I haven’t made them since 2009. I think this could become an Epiphany tradition for me. Thanks for looking and happy baking!